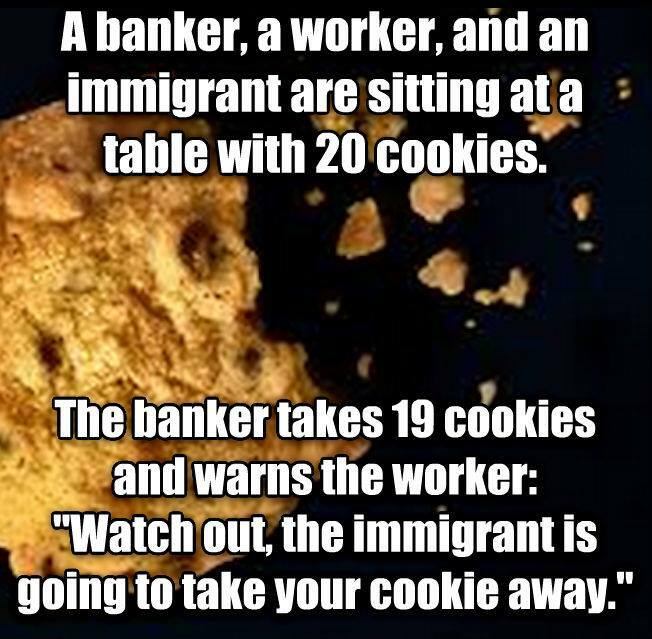 The Facebook page “TheOther98%” published this image as a post back in 2015. In a study published in January 2017 the NGO Oxfam shows how extreme distribution of wealth is globally. The richest 8 human beings own more than 3.600.000.000 others. Just one percent owns more than the 99 percent others. Such distribution of wealth leaves no equal chances at the start of live and throws democracy into crisis. 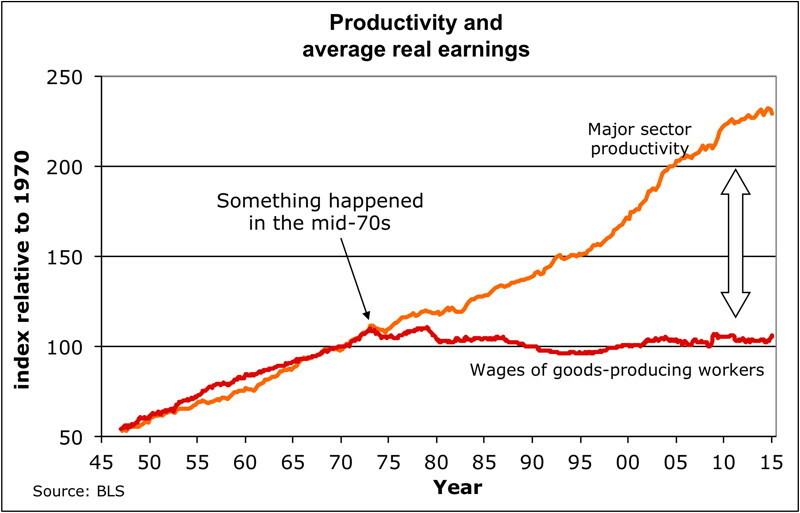 Stan Sorscher from the Economic Opportunity Institute writes more to explain this graph. In any case, this comparison in growth of productivity versus average real earnings of workers shows pretty clearly where in time we have to search for answers for growing inequality. This entry was posted in EN - English, Kunst, Politik, Uncategorized, Wirtschaft. Bookmark the permalink.